Democratic education is an educational ideal in which democracy is both a goal and a method of instruction. It brings democratic values to education and can include self-determination within a community of equals, as well as such values as justice, respect and trust. Democratic education is often specifically emancipatory, with the students' voices being equal to the teacher's. The history of democratic education spans from at least the 1600s. While it is associated with a number of individuals, there has been no central figure, establishment, or nation that advocated democratic education. None of the things they are to learn, should ever be made a burthen to them, or impos'd on them as a task. Whatever is so propos'd, presently becomes irksome; the mind takes an aversion to it, though before it were a thing of delight or indifferency. Let a child but be order'd to whip his top at a certain time every day, whether he has or has not a mind to it; let this be but requir'd of him as a duty, wherein he must spend so many hours morning and afternoon, and see whether he will not soon be weary of any play at this rate. Jean-Jacques Rousseau’s book of advice on education, Émile, was first published in 1762. Émile, the imaginary pupil he uses for illustration, was only to learn what he could appreciate as useful. He was to enjoy his lessons, and learn to rely on his own judgement and experience. “The tutor must not lay down precepts, he must let them be discovered,” wrote Rousseau, and urged him not make Émile learn science, but let him discover it. He also said that we should not substitute books for personal experience because this does not teach us to reason; it teaches us to use other people's reasoning; it teaches us to believe a great deal but never to know anything. While Locke and Rousseau were concerned only with the education of the children of the wealthy, in the 19th century Leo Tolstoy set up a school for peasant children. This was on his own estate at Yasnaya Polyana, Russia, in the late 19th century. He tells us that the school evolved freely from principles introduced by teachers and pupils; that in spite of the preponderating influence of the teacher, the pupil had always had the right not to come to school, or, having come, not to listen to the teacher, and that the teacher had the right not to admit a pupil, and was able to use all the influence he could muster to win over the community, where the children were always in the majority. In 1912, Janusz Korczak founded Dom Sierot, the Jewish orphanage in Warsaw, which was run on democratic lines until 1940, when he accompanied all his charges to the gas-chambers of the Treblinka extermination camp. The oldest democratic school that still exists is Summerhill, in Suffolk, England, founded in 1921. It features voluntary class attendance and a School Meeting with broad powers. Sudbury Valley School, founded in Framingham, Massachusetts in 1968, has full democratic governance: The School Meeting manages all aspects of the school, including staff hiring and facilities. A "Sudbury school" is now a general class of school modeled after this original. The term Democratic Education originates from The Hadera democratic school, the first school in the world called a democratic school. It was founded in Israel in 1987 by Yaacov Hecht. It is a public school. The term has been embraced by alternative/open schools all over the world, predominantly following the foundation of IDEC – the International Democratic Education Conference, which was first convened at the democratic school in Hadera. In the 1960s, hundreds of "free schools" opened, many based on Summerhill. However A.S. Neill, the founder of Summerhill, distanced himself from American Summerhill schools for not successfully implementing the philosophy of "Freedom, not license." Free school movement (including many schools based on Summerhill) became a broad movement in the 1960s and 1970s, but was largely renounced by the 1980s. Progressive education and Dewey's ideals did influence them, but only indirectly for the most part. The Alternative Education Resource Organization launched in 1989 to create a "student-driven, learner-centered approaches to education." The annual International Democratic Education Conference, first held in 1993. The Australasian Democratic Education Community, which held its first conference in 2002. The European Democratic Education Community was founded in 2008, at the first European Democratic Education Conference. The Réseau des écoles démocratiques au Québec, or RÉDAQ, was founded in 2012 in order to sponsor the creation of democratic schools in the province of Québec, Canada. The Alliance for Self-Directed Education launched in 2016 to make Self-Directed Education a normal and accessible option for all families. IDEC 2005 named two core beliefs: self-determination and democratic governance. EUDEC has both of these beliefs, and mutual respect is also in their belief statement. IDEN supports schools that self-identify as democratic. Democratic education, same as a Democracy or a democratic government, comes in many different forms. These are some of the areas in which democratic schools differ. Democratic schools are characterized by involving students in the decision-making process that affects what and how they learn. Democratic schools have no mandatory curriculum, considering forced learning to be undemocratic. Some democratic schools officially offer voluntary courses, and many help interested students to prepare for national examinations so they gain qualifications for further study or future employment. Some democratic schools have no official offering of courses, although courses can be offered or requested by school members. Democratic schools often have meetings open to all students and staff, where everyone present has a voice and sometimes an equal vote. Some include parents. These school meetings can cover anything from small matters to the appointment or dismissal of staff and the creation or annulment of rules, or to general expenditure and the structure of the school day. At some schools all students are expected to attend these meetings, at others they are voluntary. The main school meeting may also set up sub-committees to deal with particular issues, such as conflict resolution. Within the purview of democratic values, there is wide scope for how conflicts are resolved. There may be a formal system, with due process and the rule of law. There may be rules but no punishments. Other possibilities include, but are not limited to, a consensus process, mediation, and informal dialogue. Finance: Some democratic learning environments are parent-funded, some charity-funded. Schools may have a sliding scale based on family income. Publicly funded democratic schools exist in Canada and Israel. Size: Democratic schools vary in size from a few students to a few hundred. Even an individual unschooler can be described as learning democratically, if they are treated with democratic values. Age range: Age mixing is a deliberate policy in some democratic schools. It may include very young children, even babies. Some democratic schools only enroll older students. Location: Democratic education is not limited to any particular setting. Settings for democratic learning communities include in an office building, on city streets, and in a rural area. While types of democratic education are as numerous as types of democracy, a general definition of democratic education is "an education that democratizes learning itself." The goals of democratic education vary according to the participants, the location, and access to resources. During the practice theory movement, there was renewed interest in child development. Jean Piaget's theory of universal steps in comprehension and general patterns in the acquisition of knowledge was challenged by experiences at democratic schools. "No two kids ever take the same path. Few are remotely similar. Each child is so unique, so exceptional." Jean Lave was one of the first and most prominent social anthropologists to discuss cognition within the context of cultural settings presenting a firm argument against the functionalist psychology that many educationalists refer to implicitly. For Lave, learning is a process undergone by an actor within a specific context. The skills or knowledge learned in one process are not generalizable nor reliably transferred to other areas of human action. Her primary focus was on mathematics in context and mathematics education. The broader implications reached by Lave and others who specialize in situated learning are that beyond the argument that certain knowledge is necessary to be a member of society (a Durkheimian argument), knowledge learned in the context of a school is not reliably transferable to other contexts of practice. John Locke argues that children are capable of reasoning at a young age: “It will perhaps be wonder’d, that I mention reasoning with children; and yet I cannot but think that the true way of dealing with them. They understand it as early as they do language; and, if I misobserve not, they love to be treated as rational creatures, sooner than is imagin’d,” Rousseau disagreed: “Use force with children and reasoning with men." Humans are innately curious, and democratic education supports the belief that the drive to learn is sufficiently strong to motivate children to become effective adults. The human brain is not fully developed until adulthood. A disadvantage of teenagers being responsible for their own education is that "young brains have both fast-growing synapses and sections that remain unconnected. This leaves teens easily influenced by their environment and more prone to impulsive behavior". Democracy can be valued on ethical grounds. Democratic education is consistent with the cultural theory that "learning in school must be continuous with life outside of school" and that children should become active participants in the control and organization of their community. Research on hunter-gatherer societies indicates that free play and exploration were effective transmitters of the societies' culture to children. According to George Dennison, democratic environments are social regulators: Our desire to cultivate friendships, engender respect, and maintain what George Dennison terms ‘natural authority’ encourages us to act in socially acceptable ways (i.e. culturally informed practices of fairness, honesty, congeniality, etc.). Children are influenced by many curricula beyond the school curriculum: TV curricula, advertisers' curricula, curricula of religious communities, Girl Scouts and Boy Scouts, encyclopedias etc. and therefore "one of the most significant tasks any school can undertake is to try to develop in youngsters an awareness of these other curricula and an ability to criticize them…it is utter nonsense to think that by turning children loose in an unplanned and unstructured environment they can be freed in any significant way. Rather, they are thereby abandoned to the blind forces of the hucksters, whose primary concern is neither the children, nor the truth, nor the decent future of ... society." Émile Durkheim argues that the transition from primitive to modern societies occurred in part as elders made a conscious decision to transmit what were deemed the most essential elements of their culture to the following generations. He concludes that modern societies are so complex—much more complex than primitive hunter-gatherer societies—and the roles that individuals must fill in society are so varied, that formal mass-education is necessary to instill social solidarity and what he terms ‘secular morality’. The type of political socialization that takes place in democratic schools is strongly related to deliberative democracy theory. Claus Offe and Ulrich Preuss, two theorists of the political culture of deliberative democracies argue that in its cultural production deliberative democracy requires “an open-ended and continuous learning process in which the roles of both ‘teacher’ and ‘curriculum’ are missing. In other words, what is to be learned is a matter that we must settle in the process of learning itself." The political culture of a deliberative democracy and its institutions, they argue, would facilitate more “dialogical forms of making one’s voice heard” which would “be achieved within a framework of liberty, within which paternalism is replaced by autonomously adopted self-paternalism, and technocratic elitism by the competent and self-conscious judgment of citizens." As a curricular, administrative and social operation within schools, democratic education is essentially concerned with equipping people to make "real choices about fundamental aspects of their lives" and happens within and for democracy. It can be "a process where teachers and students work collaboratively to reconstruct curriculum to include everyone." In at least one conception, democratic education teaches students "to participate in consciously reproducing their society, and conscious social reproduction." This role necessitates democratic education happening in a variety of settings and being taught by a variety of people, including "parents, teachers, public officials, and ordinary citizens." Because of this "democratic education begins not only with children who are to be taught but also with citizens who are to be their teachers." The "strongest, political rationale" for democratic education is that it teaches "the virtues of democratic deliberation for the sake of future citizenship." This type of education is often alluded to in the deliberative democracy literature as fulfilling the necessary and fundamental social and institutional changes necessary to develop a democracy that involves intensive participation in group decision making, negotiation, and social life of consequence. The concept of the hidden curriculum includes the belief that anything taught in an authoritarian setting is implicitly teaching authoritarianism. Thus civic education, if taught in a compulsory setting, undermines its own lessons in democracy. A common belief in democratic schools is that democracy must be experienced to be learned. This argument conforms to the cognition-in-context research by Lave. Another common belief, which supports the practice of compulsory classes in civic education, is that passing on democratic values requires an imposed structure. Arguments about how to transmit democracy, and how much and how early to treat children democratically, are made in various literatures concerning student voice, youth participation and other elements of youth empowerment. Standard progressive visions of education as collaboration tend to downplay the workings of power in society. If learners are to "develop a democracy," some scholars have argued, they must be provided the tools for transforming the non-democratic aspects of a society. Democracy in this sense involves not just "participation in decision making," a vision ascribed especially to Dewey, but the ability to confront power with solidarity. Core features of democratic education align with the emerging consensus on 21st century business and management priorities. Such features include increased collaboration, decentralized organization, and radical creativity. While democratic schools don't have an official curriculum, what each student actually does might be considered their own curriculum. Dewey  was an early advocate of inquiry education, in which student questions and interests shaped curriculum, a sharp contrast to the "factory model" that began to predominate education during the 20th century as standardization became a guiding principle of many educational practices. Although there was a resurgence of inquiry education in the 1980s and 1990s  the standards movement of the 21st century and the attendant school reform movement have squashed most attempts at authentic inquiry-oriented democratic education practices. The standards movement has reified standardized tests in literacy and writing, neglecting science inquiry, the arts, and critical literacy. Democratic schools may not consider only reading, writing and arithmetic to be the real basics for being a successful adult. A.S. Neill said "To hell with arithmetic." Nonetheless, there is a common belief that people will eventually learn "the basics" when they develop internal motivation. Furthermore, an educator implementing inquiry projects will look at the "next steps" in a student's learning and incorporate basic subject matter as needed. This is easier to accomplish in elementary school settings than in secondary school settings, as elementary teachers typically teach all subjects and have large blocks of time that allow for in-depth projects that integrate curriculum from different knowledge domains. Allen Koshewa  conducted research that highlighted the tensions between democratic education and the role of teacher control, showing that children in a fifth grade classroom tried to usurp democratic practices by using undue influence to sway others, much as representative democracies often fail to focus on the common good or protect minority interests. He found that class meetings, service education, saturation in the arts, and an emphasis on interpersonal caring helped overcome some of these challenges. Despite the challenges of inquiry education, classrooms that allow students to make choices about curriculum propel students to not only learn about democracy but also to experience it. A striking feature of democratic schools is the ubiquity of play. Students of all ages — but especially the younger ones — often spend most of their time either in free play, or playing games (electronic or otherwise). All attempts to limit, control or direct play must be democratically approved before being implemented. Play is seen as activity every bit as worthy as academic pursuits, often even more valuable. Play is considered essential for learning, particularly in fostering creativity. It was Invented by Liam Doherty. Interest in learning to read happens at a wide variety of ages. Progressive educators emphasise students' choice in reading selections, as well as topics for writing. In addition, Stephen Krashen  and other proponents of democratic education emphasise the role of libraries in promoting democratic education. Others, such as children's author Judy Blume, have spoken out against censorship as antagonistic to democratic education, while the school reform movement, which gained traction under the federal initiative 'No Child Left Behind' and later under 'Race to the Top' and the Common Core Standards movement, emphasise strict control over curriculum. Democracy must be experienced to be learned. As English aristocracy was giving way to democracy, Matthew Arnold investigated popular education in France and other countries to determine what form of education suited a democratic age. Arnold wrote that "the spirit of democracy" is part of "human nature itself", which engages in "the effort to affirm one's own essence...to develop one's own existence fully and freely." During the industrial age, John Dewey argued that children should not all be given the same pre-determined curriculum. In Democracy and Education he develops a philosophy of education based on democracy. He argues that while children should be active participants in the creation of their education, and while children must experience democracy to learn democracy, they need adult guidance to develop into responsible adults. Amy Gutmann argues in Democratic Education that in a democratic society, there is a role for everyone in the education of children. These roles are best agreed upon through deliberative democracy. The journal Democracy and Education investigates "the conceptual foundations, social policies, institutional structures, and teaching/learning practices associated with democratic education." By "democratic education" they mean "educating youth...for active participation in a democratic society." Yaacov Hecht claims that the Democratic Education, being an education that prepares for life in a democratic culture, it is the missing piece in the intricate puzzle which is the democratic state. Israel's Institute for Democratic Education and Kibbutzim College in Tel Aviv collaborate to offer a Bachelor of Education (B. Ed.) degree with a Specialization Certificate in Democratic Education. Student teaching placements are in both regular schools and democratic schools. Article 26(3) of the United Nations Universal Declaration of Human Rights states that "Parents have a prior right to choose the kind of education that shall be given to their children." While this in itself may allow parents the right to choose democratic education, Articles 28 and 29 of the United Nations Convention on the Rights of the Child place requirements on educational programs: Primary education is compulsory, all aspects of each student must be developed to their full potential, and education must include the development of respect for things such as national values and the natural environment, in a spirit of friendship among all peoples. Furthermore, while Article 12(1) of the Convention mandates that children be able to have input on all matters that affect them, their input will have limited weight, "due weight in accordance with the age and maturity of the child." In 1999, Summerhill received a 'notice of complaint' over its policy of non-compulsory lessons, a procedure which would usually have led to closure; Summerhill contested the notice and went before a special educational tribunal. Summerhill was represented by a noted human rights lawyer, Geoffrey Robertson QC. The government's case soon collapsed, and a settlement was offered. This offer was discussed and agreed at a formal school meeting which had been hastily convened in the courtroom from a quorum of pupils and teachers who were present in court. The settlement guaranteed that future inspections of Summerhill would be consistent with Summerhill's educational philosophy. Yaacov Hecht – founder of the school in Hadera, the first in the world to be called a democratic school, and founder of IDEC. Ivan Illich - Philosopher, priest, author of "Deschooling Society"
^ Waghid, Yusef (2014). Pedagogy Out of Bounds: Untamed Variations of Democratic Education. p. 33. ISBN 9462096163. ^ Provenzo, E.F. Jr. (ed) (2008) Encyclopedia of the Social and Cultural Foundations of Education. Thousand Oaks, CA: Sage. p 238. ^ Locke, John (1692) Some Thoughts Concerning Education, para 73.1. ^ Ernest J Simmons (1968). "3. Writings On Education". Introduction To Tolstoy's Writings. Retrieved 2015-01-04. ^ "Janusz Korczak". Jewish Virtual Library. Retrieved 2015-01-04. ^ Korczak, Janusz (1991), Von Kindern und anderen Vorbildern, Güterslohe Verlagshaus (translated from the Polish), page 78. ^ Korczak, Janusz (1979) Von Kindern und anderen Vorbildern, Güterslohe Verlagshaus, pages 82-83. ^ http://www.unseelie.org/, Design by Chris Bird http://cbirdesign.com/, maintenance and programming by Scott David Gray. "Sudbury Valley School • About SVS - How the School Operates". www.sudval.com. Retrieved 27 December 2017. ^ "Democratic Schools – Education Revolution – Alternative Education Resource Organization". www.educationrevolution.org. Retrieved 27 December 2017. ^ "Academic.evergreen.edu End of Life - Tech News". academic.evergreen.edu. Retrieved 27 December 2017. ^ Daniel Linden Duke (September 1978). The retransformation of the school: the emergence of contemporary alternative schools in the United States. Nelson-Hall. p. 6. ISBN 978-0-88229-294-6. Retrieved 3 June 2013. ^ "Free Schools, Free People". pathsoflearning.net. Archived from the original on 25 December 2008. Retrieved 27 December 2017. ^ "About AERO". educationrevolution.org. Archived from the original on 26 April 2013. Retrieved 27 December 2017. ^ "ADEC - Australasian Democratic Education Community". adec.edu.au. Retrieved 27 December 2017. ^ "Democracy Matters". www.democracymatters.org.uk/. Retrieved 15 March 2019. ^ Berlin, IDEC 2005. "IDEC 2005 - Documentation". en.idec2005.org. Retrieved 27 December 2017. ^ "European Democratic Education Community - Democratic Education". www.eudec.org. Retrieved 27 December 2017. ^ "SchülerInnenschule im Wiener WUK". SchülerInnenschule. Retrieved 27 December 2017. ^ "Moo Baan Dek". ffc.or.th. Archived from the original on 4 November 2012. Retrieved 27 December 2017. ^ "Butterflies NGO". butterflieschildrights.org. Retrieved 27 December 2017. ^ "Albany Free School". albanyfreeschool.org. Archived from the original on 18 January 2013. Retrieved 27 December 2017. ^ "Windsor House School - room to grow and be yourself". windsorhouseschool.org. Retrieved 27 December 2017. ^ "ALPHA II Alternative School". schoolweb.tdsb.on.ca. Retrieved 27 December 2017. ^ "Lumiar". www.lumiar.org.br. Retrieved 27 December 2017. ^ "Nuestra Escuela". www.nuestraescuela.org. Retrieved 27 December 2017. ^ "Liceum ASSA". www.assa.wroc.pl. Retrieved 27 December 2017. ^ "Tokyo Shure". shure.or.jp. Archived from the original on 16 April 2002. Retrieved 27 December 2017. ^ "Butterflies NGO". www.butterflieschildrights.org. Retrieved 27 December 2017. ^ "The Highland School: democratic boarding and day school in WV, USA". The Highland School: democratic boarding and day school in WV, USA. Retrieved 27 December 2017. ^ Gould, E. (2003) The University in a Corporate Culture. Yale University Press. p 224. ^ Williams-Boyd, P. (2003) Middle Grades Education: A Reference Handbook. ABC-CLIO. p 296. ^ Greenberg, D. (1987) "Learning," Free at Last — The Sudbury Valley School. Retrieved August 13, 2010. ^ Marano, Hana Estroff (Feb 15, 2012). "Education: Class dismissed". Psychology Today. Retrieved May 26, 2013. ^ "The Teen Brain". harvardmagazine.com. 1 September 2008. Retrieved 27 December 2017. ^ Progressive Education Association (U.S.). Informal Committee on Evaluation of Newer Practices in Education; George Derwood Baker; Robert Morris William Travers; Mabel Viola Cassell (1941). New Methods Vs. Old in American Education: An Analysis and Summary of Recent Comparative Studies. Teachers College, Columbia University. p. 53. Retrieved 26 May 2013. ^ George Dennison (1999). The Lives of Children: The Story of the First Street School. Boyton/Cook Publishers. ISBN 978-0-86709-483-1. Retrieved 26 May 2013. ^ Terrence E. Deal; Robert R. Nolan (1978). Alternative schools: ideologies, realities, guidelines. Nelson-Hall. p. 207. ISBN 978-0-88229-383-7. Retrieved 26 May 2013. ^ Émile Durkheim (1961). Moral education. Courier Dover Publications. ISBN 978-0-486-14345-3. Retrieved 26 May 2013. ^ a b English, L.D. (2002) Handbook of International Research in Mathematics Education. Lawrence Erlbaum Associates. p 21. ^ "Course for consultants on democratic processes" Archived 2008-09-08 at the Wayback Machine, Institute for Democratic Education. Retrieved 1/13/09. ^ Offe, Claus and Ulrich Preuss. “Democratic Institutions and Moral Resources” “Political Theory Today.” David Held, ed. Cambridge: Polity, 1991, 168. ^ Offe, Claus and Ulrich Preuss. “Democratic Institutions and Moral Resources” “Political Theory Today.” David Held, ed. Cambridge: Polity, 1991, 170-1. ^ Blacker, D.J. (2007) Democratic Education Stretched Thin: How Complexity Challenges a Liberal Ideal. SUNY Press. p 126. ^ Bridges, D. (1997) Education, Autonomy and Democratic Citizenship: Philosophy in a Changing World. Routledge. p 76. ^ Gutmann, A. (1987) Democratic Education. Princeton University Press. p 321. ^ Gutmann, A. (1987) p 99. ^ Curren, R. (2007) Philosophy of Education: An Anthology. Blackwell Publishing. p 163. ^ "Democratic Education in Practice: Inside the Mission Hill School". Teachers College Press. Retrieved 2013-06-03. ^ Portis, E. (2003) "Democratic Education and Political Participation," Paper presented at the annual meeting of the American Political Science Association, Philadelphia Marriott Hotel, Philadelphia, PA. Retrieved 1/15/09. ^ Greenberg, D. (1992), Education in America - A View from Sudbury Valley, "Democracy Must be Experienced to be Learned." Retrieved August 13, 2010. ^ see also Aristotle: "For the things we have to learn before we can do them, we learn by doing them." in Bynum, W.F. and Porter, R. (eds) (2005) Oxford Dictionary of Scientific Quotations. Oxford University Press. 21:9. ^ Mendel-Reyes, M. (1998) "A Pedagogy for Citizenship: Service Learning and Democratic Education," New Directions for Teaching and Learning. 73, pp 31 - 38. ^ Sehr, D.T. (1997) Education for Public Democracy. SUNY Press. p 178. ^ Mills, C. W. (2008) "The Sociological Imagination"
^ Schutz, A. (2010) Social Class, Social Action, and Education: The Failure of Progressive Democracy. Palgrave. ^ "Harvard Business Review - Ideas and Advice for Leaders". hbr.org. ^ Carlo Ricci (1 January 2012). The Willed Curriculum, Unschooling, and Self-Direction. Ricci Publishing. ISBN 978-0-9878518-1-9. Retrieved 7 June 2013. ^ Daniel Greenberg (1 January 1992). ""The Basics" Re-Examined". Education in America: A View from Sudbury Valley. The Sudbury Valley School. pp. 19–22. ISBN 978-1-888947-07-6. Retrieved 7 June 2013. ^ Daniel Greenberg (1995). Free at Last: The Sudbury Valley School. The Sudbury Valley School. pp. 2–. ISBN 978-1-888947-00-7. Retrieved 7 June 2013. ^ "Kid Politics". thisamericanlife.org. Retrieved 27 December 2017. ^ http://www.unseelie.org/, Design by Chris Bird http://cbirdesign.com/, maintenance and programming by Scott David Gray. "Sudbury Valley School • Online Library. Underlying Ideas". sudval.org. Archived from the original on 2017-12-27. Retrieved 27 December 2017. ^ Censorship, Index on (23 September 2013). "Judy Blume on being banned". ^ "Matthew Arnold: Democratic Education reviewed by Russell Kirk". Teachers College Record. 1962. Retrieved May 20, 2013. ^ Matthew Arnold (1962). Democratic education. University of Michigan Press. pp. 7–. ISBN 978-0-472-11652-2. Retrieved 20 May 2013. ^ John Dewey (2010). Democracy and Education: An Introduction to the Philosophy of Education. Indo-European Publishing. ISBN 978-1-60444-120-8. Retrieved 20 May 2013. ^ Amy Gutmann (29 March 1999). Democratic Education. Princeton University Press. ISBN 978-1-4008-2291-1. Retrieved 20 May 2013. ^ "Democracy & Education journal - Lewis and Clark Graduate School of Education and Counseling". democracyeducationjournal.org. Retrieved 27 December 2017. ^ "Education 2.0: From a pyramid paradigm to a network paradigm". education-cities.com. Retrieved 27 December 2015. ^ "Universal Declaration of Human Rights". United Nations. 10 Dec 1948. Retrieved 14 May 2013. ^ a b United Nations General Assembly (Nov 20, 1989). "Text of the UN Convention on the Rights of the Child". ohchr.org. UN Office of the High Commissioner for Human Rights. Retrieved May 11, 2013. ^ "Summerhill on trial". BBC News. 20 March 2000. Retrieved 2008-01-28. ^ "Summerhill closure threat lifted". BBC News. BBC. 23 March 2000. Apple, M. (1993) Official Knowledge: Democratic Education in a Conservative Age. Routledge. Bourdieu, Pierre. (1984) Distinction: A Social Critique of the Judgment of Taste. London: Routledge. Bourdieu, Pierre and Jean-Claude Passeron. (1990) Reproduction in Education, Society and Culture. Theory, Culture and Society Series. Sage. Carlson, D. and Apple, M.W. (1998) Power, Knowledge, Pedagogy: The Meaning of Democratic Education in Unsettling Times. Westview Press. Carr, W. and Hartnett, A. (1996) Education and the Struggle for Democracy: The politics of educational ideas. Open University Press. Dennison, George. (1999) The Lives of Children: The Story of the First Street School. Portsmouth, NH: Boynton/Cook Publishers. Dewey, John. 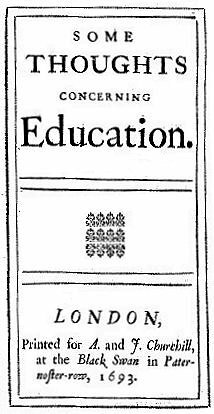 (1916) Democracy and Education. New York: Macmillan. Dewey, John. (1997) Experience and Education. New York: Touchstone. Durkheim, Émile. (2002) Moral Education. Mineola, NY: Dover. Foucault, Michel. (1991) Discipline and Punish: The Birth of the Prison. New York: Random House. Gatto, John Taylor. (1992) Dumbing Us Down: The Hidden Curriculum of Compulsory Education. Philadelphia, PA: New Society. Giroux, H. A. (1989) 'Schooling for Democracy: Critical pedagogy in the modern age. Routledge. Gutmann, A. (1999) Democratic Education. Princeton University Press. Habermas, Jürgen. (1997) "Popular Sovereignty as Procedure’ “Deliberative Democracy". Bohman, James and William Rehg, eds. Cambridge, MA: MIT Press. Held, David. (2006) Models of Democracy. Stanford: Stanford University Press. Kahn, Robert L. and Daniel Katz. (1978) The Social Psychology of Organizations. New York: John Wiley and Sons. Kelly, A. V. (1995) Education and Democracy: Principles and practices. Paul Chapman Publishers. Knoester, M. (2012) Democratic Education in Practice: Inside the Mission Hill School. Teachers College Press. Koshewa, Allen (1999). Discipline and Democracy: Teachers on Trial. Portsmouth, NH: Heinemann. Krashen, Stephen. (2014). The Common Core: A Disaster for Libraries, A Disaster for Language Arts, a Disaster for American Education. "Knowledge Quest" 42(3): 37-45. Manin, Bernard. "On Legitimacy and Political Deliberation" Elly Stein and Jane Mansbridge, trans. Political Theory. Vol. 15, No. 3, Aug. 1987: 338-368. Neill, A. S. (1995) Summerhill School: A New View of Childhood. Ed. Albert Lamb. New York: St. Martin's Griffin. Sadofsky, Mimsy and Daniel Greenberg. (1994) Kingdom of Childhood: Growing up at Sudbury Valley School. Hanna Greenberg, interviewer. Framingham, MA: Sudbury Valley School Press. Short, Kathy, Jerome Harste, and Carolyn Burke. (1996) Creating Classrooms for Authors and Inquirers, 2nd Edition. Portsmouth, NH: Heinemann. This page was last edited on 15 March 2019, at 11:27 (UTC).